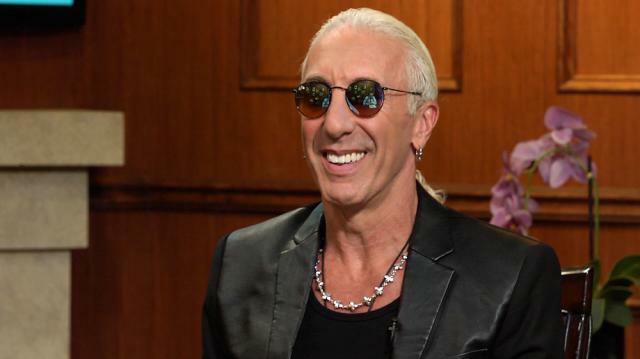 Rock icon Dee Snider opens up to Larry about the future of his legendary heavy metal band Twisted Sister, how his music has evolved since pursuing a solo career several years ago, and his relationship with former 'Celebrity Apprentice' boss Donald Trump. Heavy Metal legend Dee Snider sits down with Larry King to discuss his latest record, ‘We Are The Ones.’ While the Twisted Sister frontman adores his metal roots, he views this album as a break from the genres he is most known for. Dee Snider then addresses his long relationship with heavy metal, and how his childhood in suburban Long Island shaped the man that he is today. Singer Dee Snider pays homage to the late A.J. Pero, the drummer for Twisted Sister. Snider speaks to the importance of the instrument in rock and roll, and how the drummer’s death affected the band. Later, the former reality TV star and Larry King turn their attention to Snider’s tenure on NBC’s The Apprentice, and his relationship with Donald Trump. Snider relives Trump’s use of the song ‘We’re Not Gonna Take It’ on the campaign trail, and some of the presidential candidate’s more contentious views. Finally, the grandfather and music legend reflects on some of his most important memories with Larry King in a game of ‘If You Only Knew.’ He recalls fan encounters, best performances, and risks taken. Larry King and Dee Snider even share a mutual love of the writer Mark Twain.